This simple ear warmer crochet pattern is not only easy to whip up, but it’s also super easy to adjust in size. It’s crocheted in a baby Llama yarn, which is super soft, and gives the ear warmer a lot of stretch. 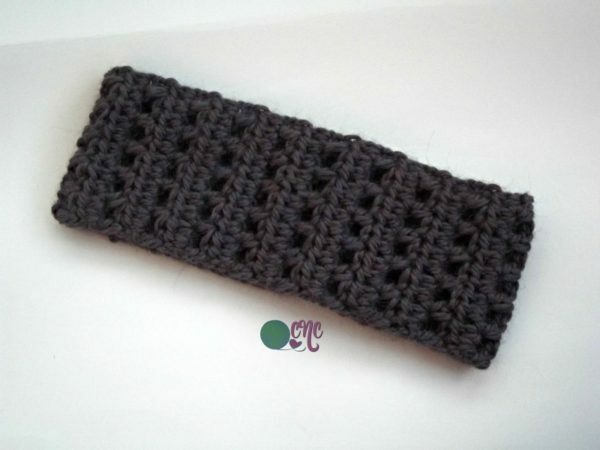 It’s very comfortable, due to the stretch, and can be worn as an ear warmer or as a band to hold your hair back. The yarn was a gift from Yarn Candy Bargains. It is spun in Peru. 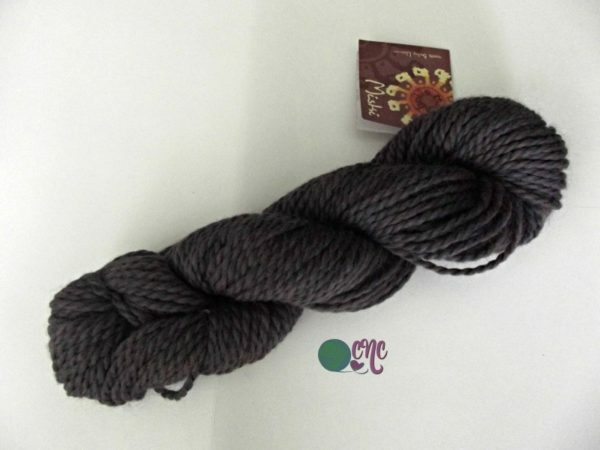 The care instructions for this luxury yarn are to handwash, dry flat, cool iron, and may be dry cleaned. To find out more or to place your order, visit this post. In addition to the softness of the yarn, I love the texture of this band. It has a bit of an open stitch, which makes this ideal for the fall or spring when it’s not that cold outside. You can basically use any yarn and hook size that you have on hand because it’s easy to customize in size. 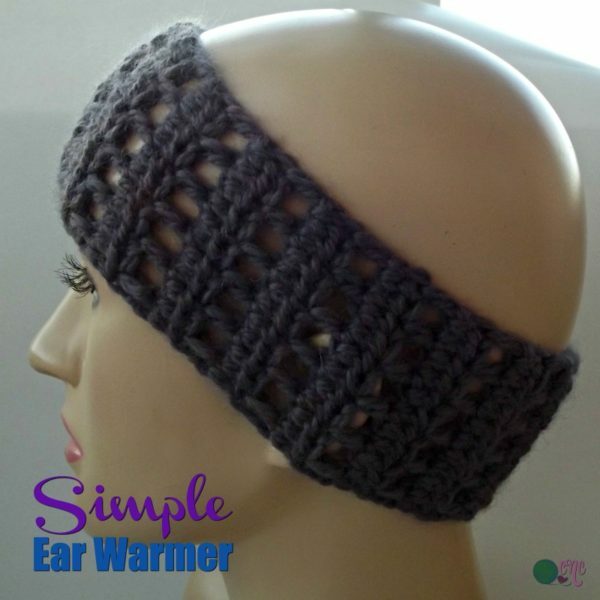 Other ear warmers to try include the criss cross crochet ear warmer pattern or the Charisma crochet ear warmer. And for something super stretchy and adjustable you might want to check out this ear warmer headband. Finished Size: Laying flat it measures 8″ across and 3″ wide. Fits adult small as yarn used has a lot of stretch. Can easily be adjusted to any size. Ch 12, or any multiple of 2 to obtain desired width. Rows 4-38: Repeat Rows 2 and 3 until you have reached a desired circumference making sure to end with Row 2. Fasten Off at last row leaving a 20″ tail for joining the last row to the first row. And don’t forget to check out more crochet ear warmer patterns here at CPB.